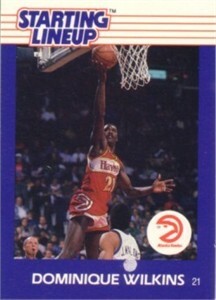 1988 Kenner Starting Lineup CARD ONLY of former Atlanta Hawks superstar Dominique Wilkins. About ExMt (minor flaws and wear). ONLY ONE AVAILABLE FOR SALE.